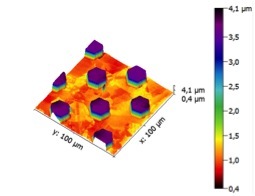 Micro and nanostructuring is modifying the topography of a surface to alter the wettability of that surface directly on it without intermediate coatings. 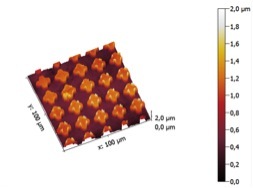 What real advantages micro and nanostructuring has? The functional properties are in the substrate itself. 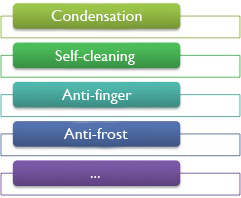 Avoids potential problems with adherence, abrasion, resistance to chemicals. Environmentally more efficient because the use of solvents is avoided. And in the case of micro and nanostructuring are going to get through physical changes in rugosity: height, width, spacing and shape of the motifs that are designed. Through which technique you can achieve? 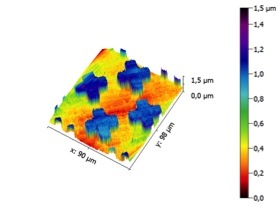 AFM stainless steel microstructuring by photolithography and ion milling.